The source for this render is Steve Hemmerstoffer AKA OnLeaks. Which is curious because he’s also the source of the previous render that shows the lenses in a triangular formation. 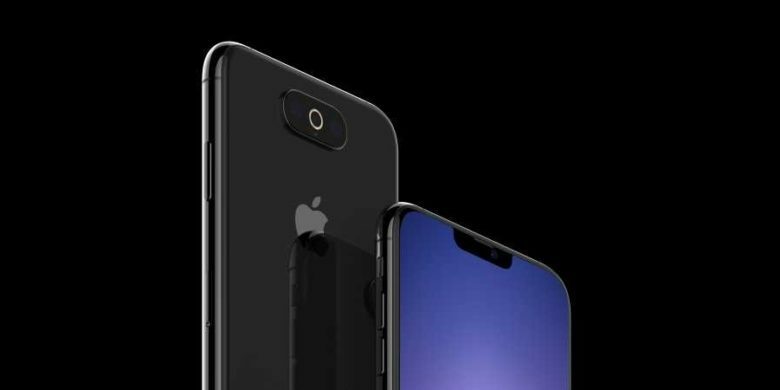 He shared the latest images with CompareRaja and told them that the competing renders could be of different iPhone models coming out this year. Or both designs were considered before one was dropped. A unique feature of this design is the flash: it’s in a circle around the middle camera lens. There’s a microphone just below, though it doesn’t show up well in the leaked images. The 2019 iPhone will look overall much like its predecessor but there will be some important additions. On its front, the device shown in the new render has a slightly smaller screen cutout than in Apple’s current iOS handsets. That’s in line with previous unconfirmed reports that Apple is seeking to reduce the size of the iPhone notch. In addition, this model — supposedly called the iPhone XI — will allegedly have marginally slimmer screen bezels than its predecessors. The next-gen iPhone isn’t expected to launch until this fall. More leaked renders to further muddy the issue are likely in the intervening months. The design is reportedly still in the Engineering Validation Test phase so it hasn’t been completely set yet.